Many types of bacteria are naturally present in your body. Some of these bacteria are actually beneficial for your health and help improve digestion, while others are responsible for causing many diseases. Some bacteria can cause illnesses, but it is also possible to have those bacteria in your body but still experience no symptoms. The same holds true for GBS or group B streptococcus, which can live in your body without causing any illness or symptoms. It is usually present in your digestive, urinary, or reproductive tracts, so it can easily leave your body without causing any problems. Sometimes, it can lead to an active infection, especially in newborns. Therefore, it is important to about specific signs of GBS in newborn to manage things better. As mentioned earlier, GBS does not always cause illnesses, but elderly people or those with a weakened immune system due to cancer, diabetes, or liver disease may develop some complications. In some cases, GBS can lead to the infection of the lungs, blood, bones, and skin. It can also affect pregnant women and infect the placenta, urinary tract, amniotic fluid, and womb. An infected pregnant woman can transfer the infection to the unborn baby as well, which can happen during labor and delivery. They may have early-onset infections. These infections are quite common and affect your baby within the first week after birth. Your baby may experience problems within 24 hours of birth. They may have late-onset infections. These types of GBS infections usually develop several months after birth. 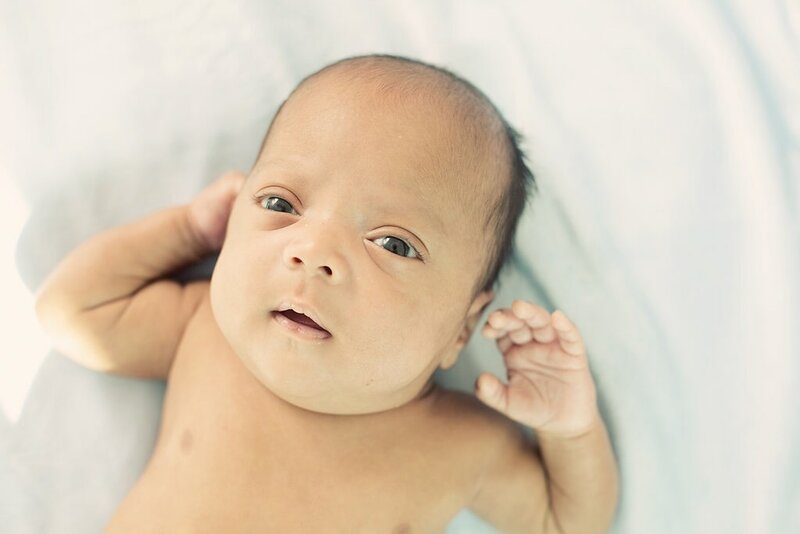 Some common signs of GBS in newborn may include feeding problems, fever, irritability, limpness or inactivity, breathing problems, and being unable to maintain a healthy body temperature. Some babies may also develop other problems due to GBS, such as sepsis, pneumonia, and meningitis, which can lead to learning disabilities, vision loss, hearing loss, and seizures. Meningitis in babies can also lead to death. It is possible that the mother already has the infection and passes it on to the baby when it passes through the birth canal. The baby can become very sick soon after birth. It is possible that baby becomes infected after birth by coming into contact with someone who is already infected with the GBS. The symptoms may not appear immediately after the baby contracts the infection. A baby is at a higher risk of becoming infected when born at least 3 weeks before the due day. A premature baby with a weak immune system is likely to develop several complications. A pregnant woman who has already given birth to a baby infected with GBS is likely to have another baby with the same problem. A pregnant woman who has a fever higher than 100.4F during labor may give birth to a baby infected with GBS. A newborn is likely to become infected when the mother has group B streptococcus in her reproductive, gastrointestinal, or urinary tract. A newborn baby may be at an increased risk of developing GBS sepsis when intrauterine fetal monitoring is conducted during labor. It is important to seek immediate medical attention if you notice any signs of GBS in newborn. The good thing is that your doctor will take care of everything in case of early-onset GBS disease, which is mainly because the symptoms show up immediately after birth. Many doctors also take precautionary measures to ensure that the mother is not already infected. They order different tests to check the presence of GBS during pregnancy. They administer intravenous (IV) antibiotics during labor to clear the infection. They usually use penicillin in this case to kill the bacteria, but other medications are also available now. In case you have been diagnosed with the infection, your doctor may decide to give you antibiotics at least 4 hours before delivery. This lowers the risk of giving birth to a baby infected with GBS disease. It is worth mentioning that your doctor may also decide to give you antibiotics during labor in certain situations. They may do it if you go into premature labor and have not yet tested for GBS. The same may be done in case your water breaks at least 18 hours before delivery. In case you have a high fever during labor, your doctor may also decide to give you some specific antibiotics. Moreover, you are likely to receive antibiotics during labor if you have had given birth to a baby with GBS disease before or you have had a GBS bladder infection in the past. NOTE: Receiving antibiotics may help lower risk of early-onset GBS disease, but it will do nothing to prevent late-onset disease, the cause of which is still unclear. In case your baby has already become infected, your doctor will also prescribe antibiotics to help treat the problem. Your baby may also need IV fluids and breathing help during the treatment.